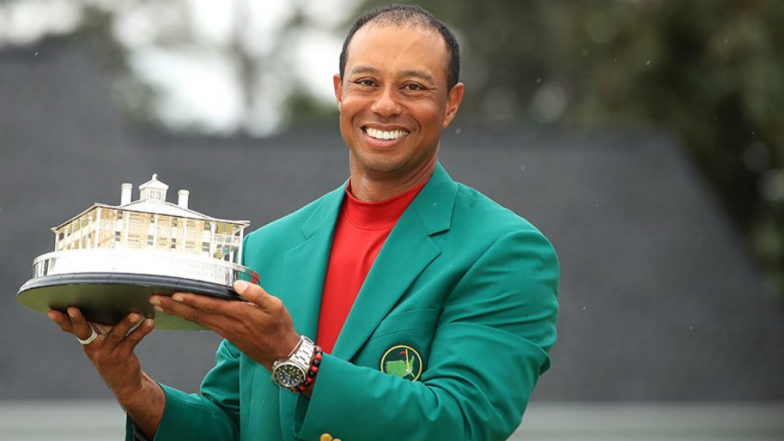 The American professional golfer Tiger Woods made a comeback this past Sunday on April 14, 2019, where he won his 5th Masters title and his 15th major tournament. He played after a long time at Augusta National. Wood has received compliments from worldwide as he has won a title after a gap of 10 years. Tiger Woods Wins the 2019 Masters Tournament, His 1st Major Golf Championship Since 2008. Tiger Woods is considered to be one of the greatest golfers of all time. He won the major title after a gap of 10 years, as he won the U.S. Open in 2008. Woods made history 22 years ago when he won his first major at age 21, to become the youngest champion ever in history. Let us have a look at what the 43 years old golfer Tiger Woods said after his victory. Tiger Woods Lookalike at Dell Technologies Championship Amazes Fans and Twitter, Check Pictures. Tiger Woods victory at Augusta National this past Sunday gave him 15 career major titles, just three behind all-time leader Jack Nicklaus. Woods victory came at the expense of Francesco Molinari. The Italian's earlier two-shot lead evaporated on the par-3 No. 12 when his tee shot fell short and rolled into the water. Although Molinari laid up and two-putted for a double bogey, Tiger Woods pared to gain a share of the lead.